By Noelle Viger - News Editor · November 25th, 2018 at 8:16 a.m. The Minister of National Defense visited OC and UBCO students and heard student policy recommendations. Photo from Harjit Sajjan's Facebook Page. 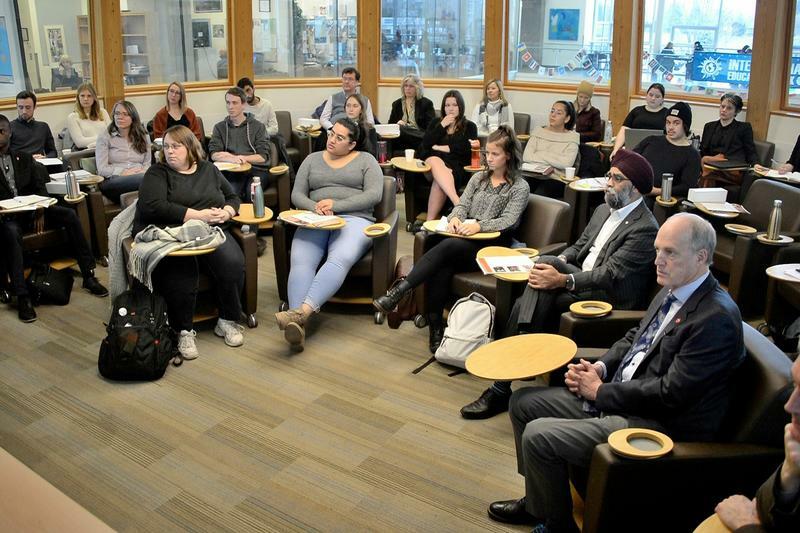 On Wednesday, November 14 Minister of Defense, Harjit Sajjan attended a workshop at Okanagan College to gather input on foreign policy from students. 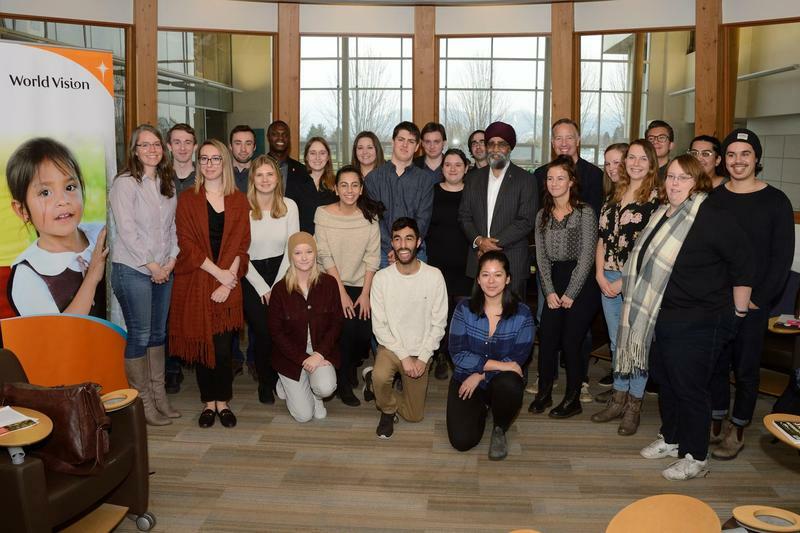 World Vision Canada reached out to Okanagan College and UBC Okanagan in order to host an event to facilitate a dialogue between the Minister and university students. The goal of the event, as described by World Vision is to “cultivate [the student’s] input in order to develop a set of actionable policy recommendations for the Minister's consideration, regarding three main focus areas.” These three focus areas are children in conflict; women; and peace and security (with a focus on the Elise Initiative) and the Canadian presence in Mali. Students were divided into three groups and given an hour to come up with a presentation for the minster. Some of the highlights from these presentations included the recommendation for a rebranding effort within the Canadian military to be more inclusive to women, coming from the group regarding women in security. The group also chose to focus on the inclusion of or emphasis on an Ombudsperson within the organization to be a neutral third party in the case of sexual or physical assault. The group presenting on Canadian peacekeeping efforts in Mali recommended the creation of a third-party oversight committee which would include civilian experts on the political situation in Mali, a representative for the Canadian military, and someone to represent private interests who would make recommendations on the actions taken in Mali. This recommendation was made to attempt to limit the influence of private Canadian mining interests in Mali, and to attempt to help create bottom-up capital, as opposed to trickle-down. The Minister also engaged in a question and answer session. A notable question from this session included a student asking the Minister if Canada was sending mixed signals through the creation of a message of peacekeeping operations in Mali while simultaneously continuing to sell arms to the Saudi government. The Minister’s response to this was similar to Prime Minister Trudeau’s response when he was asked the same question, stating that the previous government had signed a contract, and breaking contracts is considered bad business. However, Minister Sajjan did state that the government will be open to considering a new course of action once all the information is available, but could not give further information at the time. World Vision Canada drafted a policy brief following these presentations which summarized the key issues and policy recommendations. They submitted this to the Minister for consideration.